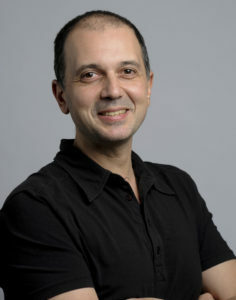 Marcelo Maina, Professor of Educational Technology at the Department of Psychology and Education at UOC and researcher in the University’s Edul@b research group is involved in the EPICA project. He participated in the group’s first two project meetings, in Hunderfossen, Norway and Arusha, Tanzania. In this interview, he discusses the challenges involved in collaborating with sub-Saharan universities and the meaning of this new experience for Edul@b and UOC. EPICA is a very innovative project that opens collaboration within a new cultural context. What does it mean for your team and for your institution to collaborate with the sub-Saharan universities involved in the project? It is a great opportunity to work in this new context and get in touch with another part of the world. UOC as an institution has a vocation to work internationally. We have a lot of experience working with other European countries and Latin America. We have also cooperated in research and teaching in Canada, USA, and even Australia, but Africa is a continent that we still have to explore. This experience is definitely a challenge. After having been in contact for more than eight months with the institutional partners in the EPICA project, and even beforehand in the elaboration of the project, a series of barriers and preconceived ideas inevitably have started to be torn down. We have three sub-Saharan partners and three quite different contexts. Despite their differences, all demonstrate a lot of willingness to innovate, cooperate, and work together. Uganda’s Makarere University, Kenya’s Maseno University, and the Open University of Tanzania are all very clearly committed to the project and have brought interesting ideas and solutions to the issues raised so far. I would also point out that the problems we address in EPICA are not only related to the sub-Saharan region, but are common to all countries. European institutions have the same need to bridge the pervasive skills gap and to innovate in the higher education sector. What opportunities could participation in a project like EPICA generate in the near future? Although this project aims to transfer knowledge and experience, the exchange goes in two directions. What we have to offer in the transfer, of course, focuses mainly on specific topics: learning and assessment by competencies and the technological tools that facilitate this methodological approach. This project is undoubtedly also enriching for us since it reveals very different scenarios and allows us to form bonds based more on mutual exchange than on the transfer of knowledge. Our previous experience enables us to analyse and support the sub-Saharan universities in incorporating innovative pedagogical approaches. Furthermore, it also reveals their way of doing things and obliges us to adapt our past experiences to a new reality. There are elements of these new contexts that do not necessarily fit our methodology and experience, so that we need to improve or readapt the practices that we want to transfer. This virtuous circle stimulates us to rethink our practices and inspires us to grow. These exercises not only benefit the institutions we address, but also have an important impact on our own work. After these first nine months of the project, what do you view as the main potentialities of your partner universities, Makarere, Maseno, and OUT? After the project started, we proposed the idea of undertaking a diagnosis of employability skills in the context of each of the target countries. To perform this analysis, we thought to take advantage of the Open Days events organised by the African universities to engage stakeholders from the public, business, and academic sector. The organisation of these events demonstrated the good relationship these sub-Saharan universities have with government (ministries, secretariats, etc. ), as well as with the business sector. These contacts and the number of attendees’ profiles displayed the convening power of the academies in their local contexts. I was very surprised and pleased to see this strong link among universities, companies and governments and the potential that these connections may have for the project. What is the level of engagement of the local universities in reducing the skills gap and improving employability skills? In our university partners, we observed a very high degree of awareness regarding employability skills and their importance. The institutions know very well that they must improve their curricula and make an extra effort both in teacher training and in maintaining the contact with local stakeholders to change their situation. It is very clear that these universities are concerned about educating professionals who are qualified for jobs in the local market. They are also very interested in translating this education into a higher level of employability and finally into real local development. This concern of the sub-Saharan universities goes beyond mere certification. There is clear interest among these educational institutions in making an additional effort to improve employability in an integrated way. This is something that is worth highlighting since it is one of the main potentialities of the project and of our collaboration with the sub-Saharan region.